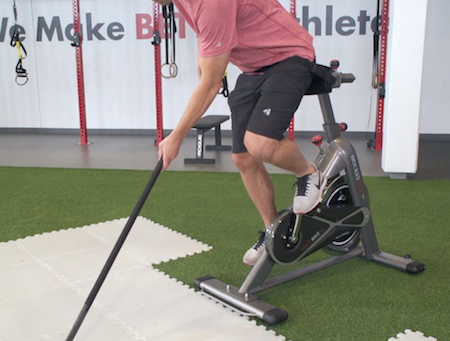 Below are important directions and tips to maximize your experience when training on the ShiftBike X3. 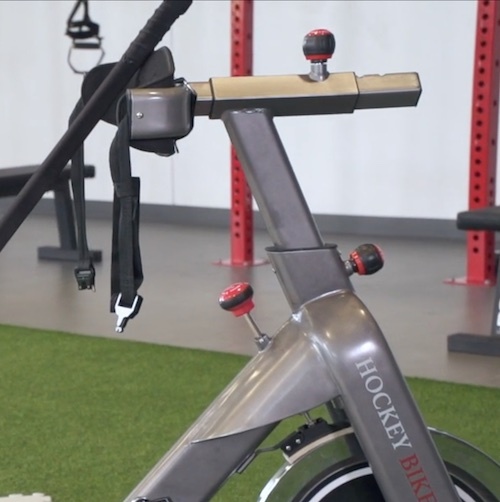 The ShiftBike X3 is designed to replicate the feeling of a high intensity shift on the ice. A typical ride lasts between 30-60 seconds and players should rest for 1-2 minutes between rides. It’s important not exceed your capabilities. If you feel pain or discomfort please rest or see your physician. IMPORTANT: Before riding make sure the crank shaft is securely fastened to the bike frame, the pedals are securely fastened to the crankshaft, the buckles are securely fastened to the waist strap, and the vertical and horizontal adjustors are pinned and tightened. Adjust the horizontal and vertical back rest so the waist straps line up on your hip bones when standing on the pedals with your knees slightly bent. Tighten the adjustment knobs to a secure position. Adjust the resistance knob to set the desired level. Adjust the waist strap so there’s 1-2 inches of slack when around the midsection. Make sure the buckle is securely attached before standing and leaning forward. The waist strap should be on the pelvic bones where you’d wear a belt and not high on the stomach or low on the thighs. 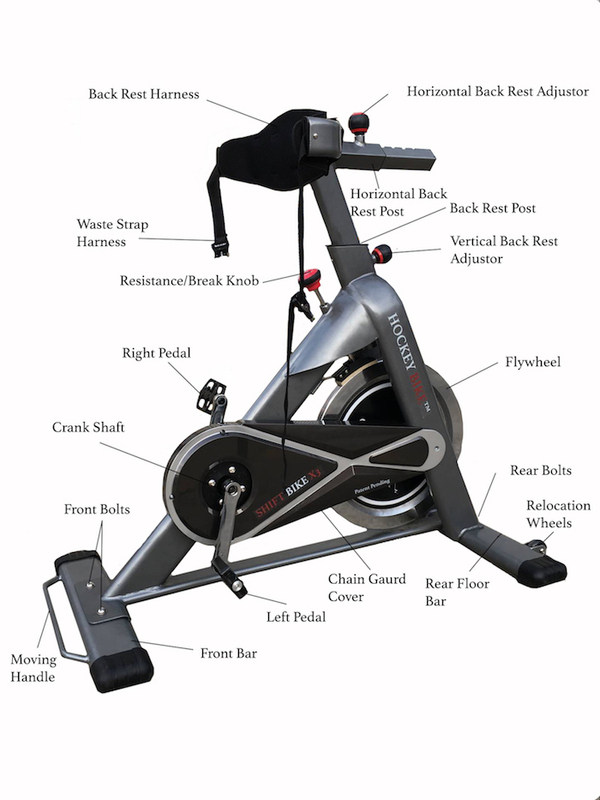 The Pedals should be under the front balls of your feet and toes. Avoid riding with the pedals in the middle of your feet under the arches or back heel of your foot. This will replicate the normal toe snap motion of a skating stride. 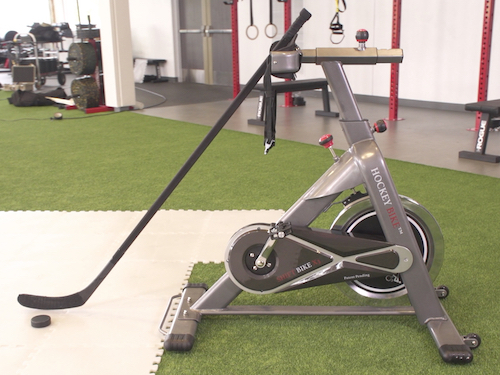 Once securely fastened stand and lean forward in a natural skating position with our upper body over your midsection. When pedaling keep your head height level and avoid bouncing up and down while riding. 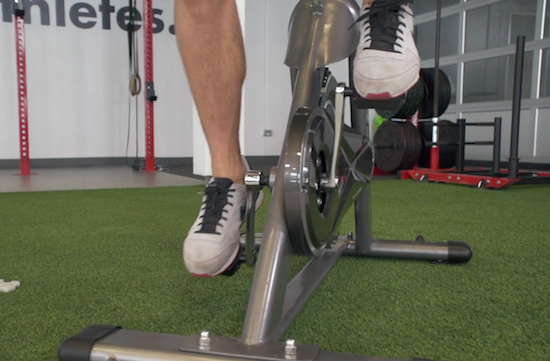 To help with the first stride pedal backwards one half a rotation and then begin pedaling forward to get inertia. When riding keep your core muscles flexed and in a controlled position. 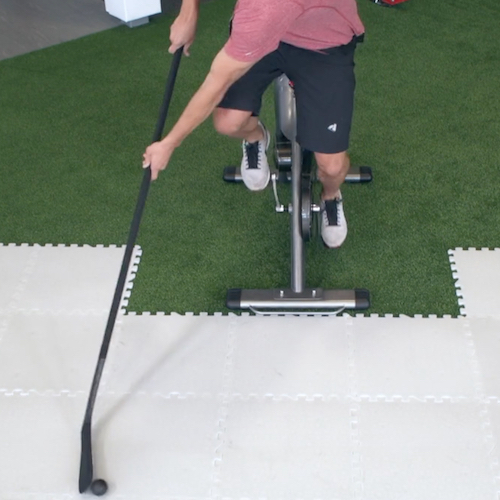 Practice your stick handling on your forehand side using your core muscles and shoulders to control the puck. 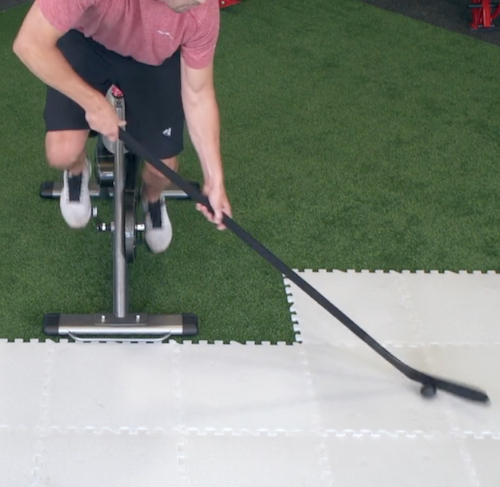 Work on transitioning from your forehand to your backhand and vice versa while keeping your upper body in a normal skating position. Keep your head and eyes up and your core muscles flexed when riding. Avoid leaning too much from one side or the other to avoid the possibility of the bike tipping over. 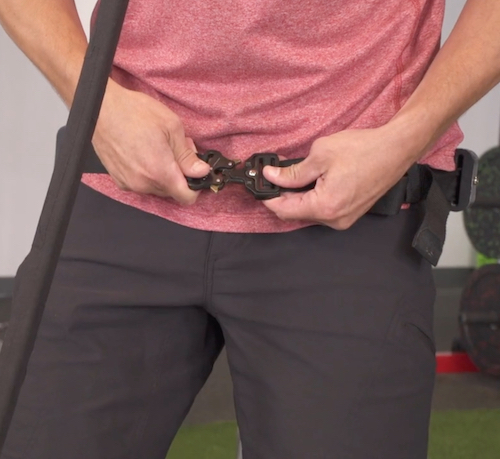 When you’re done stop pedaling, get your balance with your dominant foot on the bottom pedal, step the other foot on the ground, and unbuckle the waist harness. Press down on the resistance knob to stop the flywheel. Rest, catch your breath, rehydrate, and get ready for your next shift!